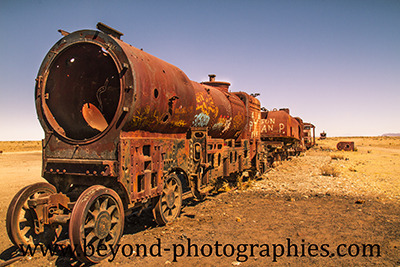 The construction of the rail system in Bolivia, Uyuni began in 1888 and ended in 1892. 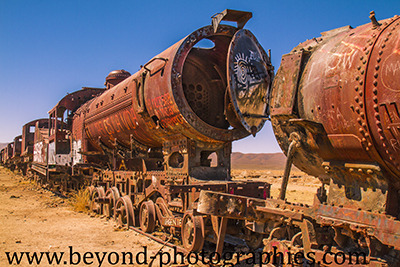 The former Bolivian president Aniceto Arce was in favor of the rail system and thought that Bolivia would greatly benefit from it. 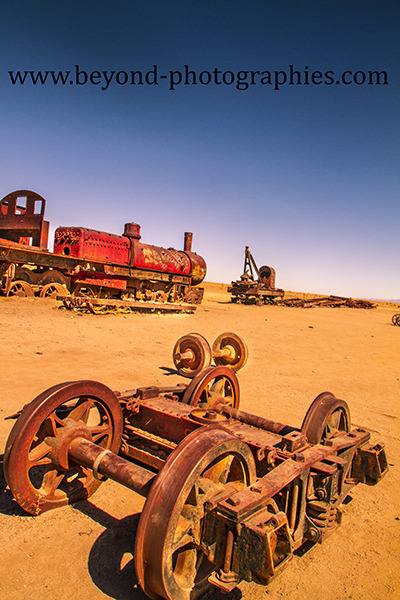 Some of the local indigenous population did not think that way and tried to sabotage the project, because in their mind, the trains were intruding and menacing their traditional way of life. 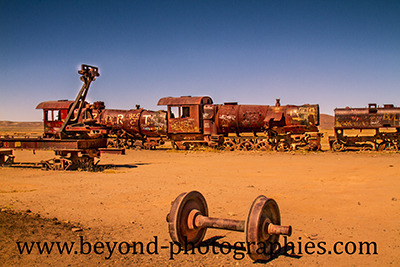 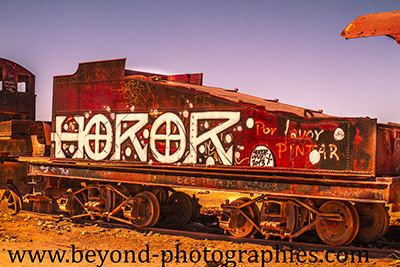 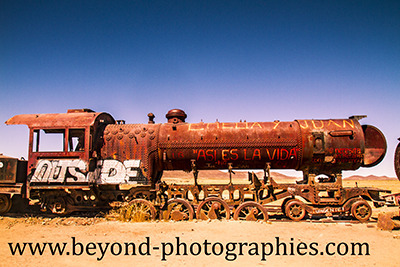 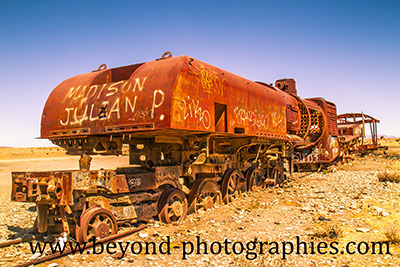 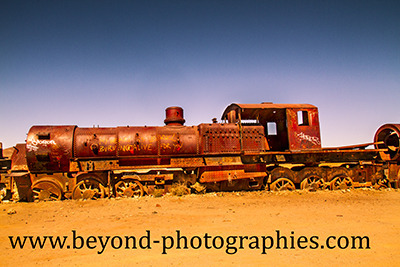 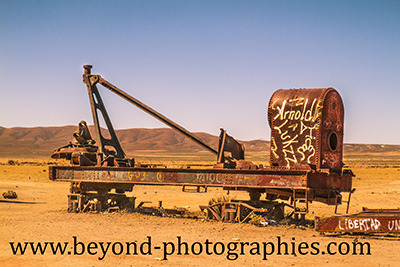 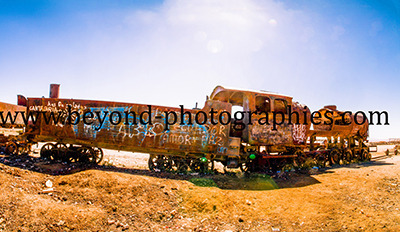 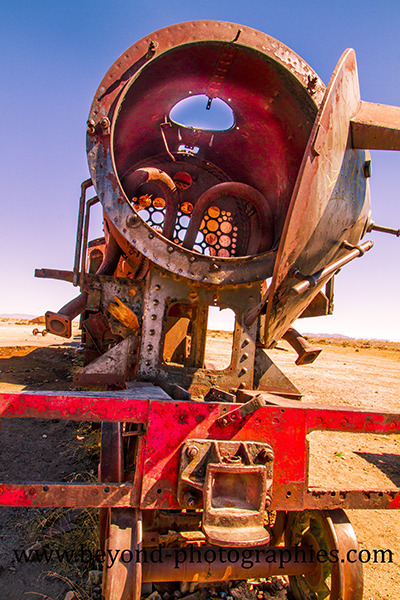 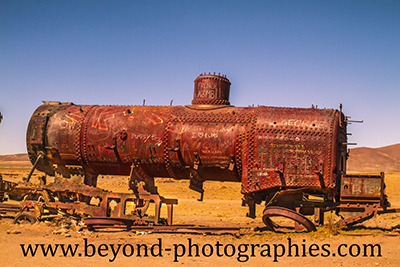 Due to mineral depletion in the 40s the trains were abandoned and until now rot in the desert. 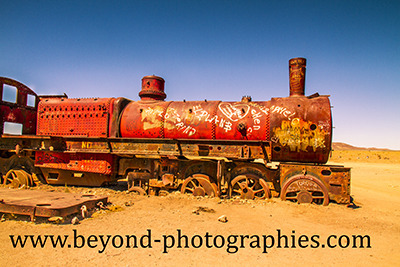 So the famous train cemetery or train junkyard came to life and is now an attraction for many tourists. 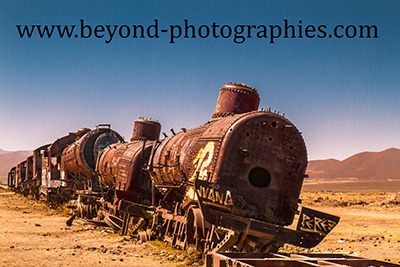 Being inspired by an article in the GEO magazine. 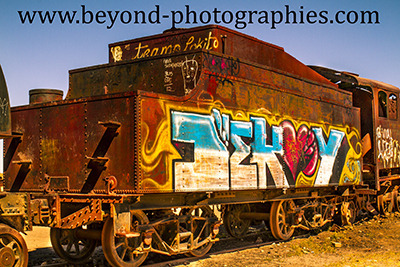 The pictures above are currently all exhibited in Berlin, Neukoelln. 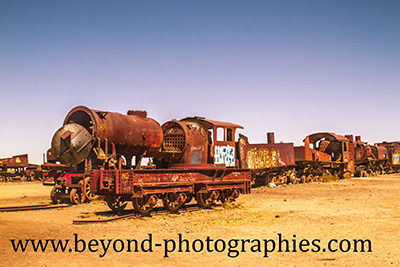 They are part of my personal travels to Bolivia and can be viewed on my webpage. 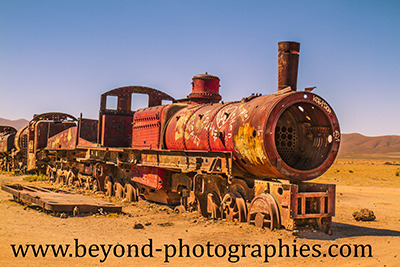 The exhibition showed, that there is an audience which is interested in digital travel photography as well as travel blogs and the development of travel photography is to be continued. 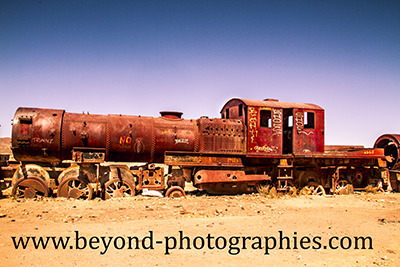 For more impressions please have a look at my website..